Rumours and speculation are running wild through the streets of Mega City as riots, violence, and general unrest ignite throughout the buroughs of this once safe and peaceful metropolis. Here are several reports and sightings from throughout the districts of the City. The Proxy server erupted in violence today as the Mara Church bell struck 4:00. The LED Agent’s demands were met with by fierce resistance from all players in the area, regardless of organizational affiliation. Hellbent and runCosmorun, blood brothers from the faction DG0B4h, engaged an agent over twice their level because moments earlier “the same Agent savagely assaulted a low level Zionite that was cowering near a hardline.” Hellbent and runCosmorun desperately called for backup as they struggled to defend themselves against the cold severity of the Agent's attacks. Unfortunately, their cries for assistance fell on deaf ears and in the end they were overwhelmed. The violence rippled outward to encompass the surrounding areas. Mara hardline became a staging point for LED Agent opposition. 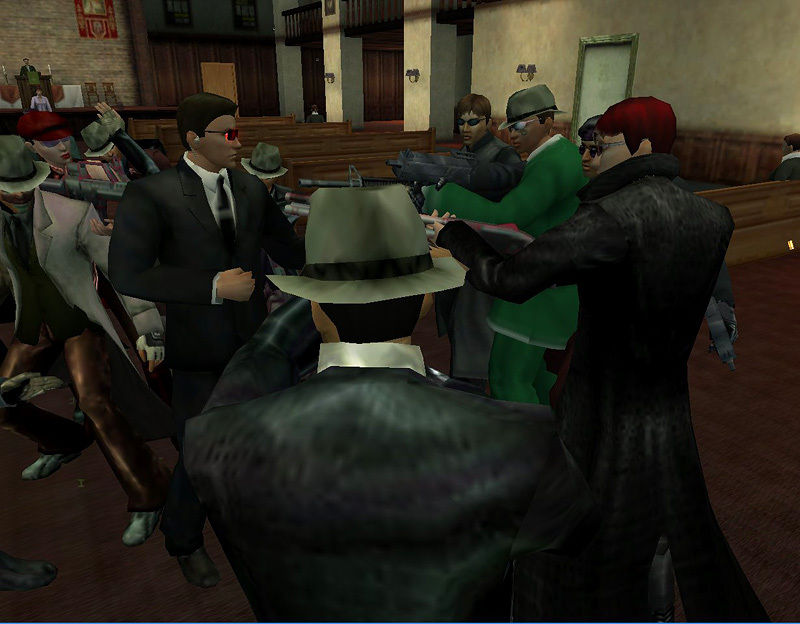 Sinnobyte, member of Sinn faction, joined up with Gaellon members, CrimsonSilence and Dornel, in a united effort to bring down Agent_1. The fighting was intense, and by coordinating ranged attacks with interlock they managed to keep the Agent occupied until the Agent's operator sounded the retreat. Assistance across organizational lines is on the increase. There have been many incidents of Merovingian and Zionites fighting side by side. Reports of today’s violence outside Mara church include several anecdotes of a particularly angelic coder named Yaldaboth. Witnesses report that Yaldaboth tirelessly wandered the war-torn Mara landscape healing anyone that was engaged in fighting the menacing Red-eyed Agents. Red-eyed Agent attacks are continuing to increase in frequency and viciousness. 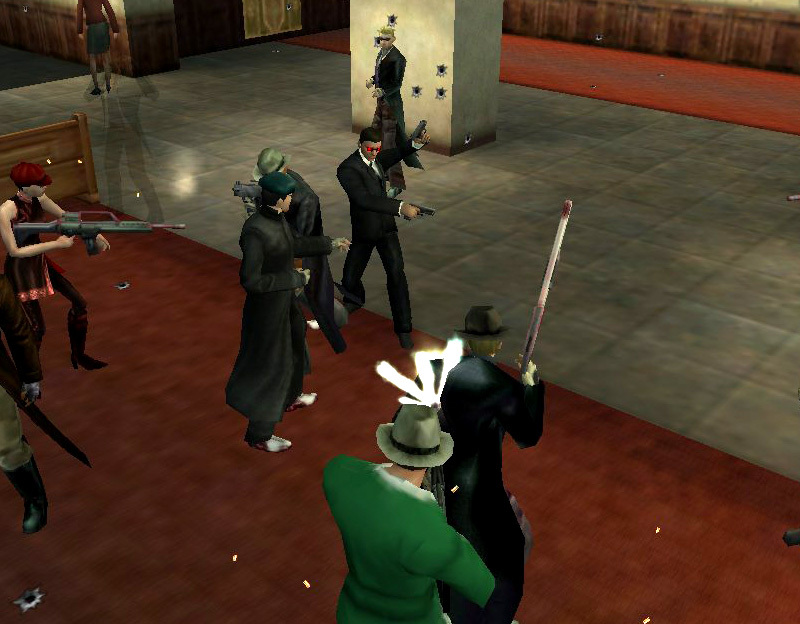 Reports of Agents indiscriminately attacking local residents are now commonplace. Zionites, Merovingian and Machinists alike are now afraid to go outdoors. “Man, I g-g-got the fear. I’ve even been haunted by these red-eyed Agents in my dreams. S-s-someone needs to d-d-d-do something,” claimed a rattled Zionite. Well, last night someone did do something. DataGhost was taking a leisurely stroll through Midian Park West late Wednesday evening when he was savagely attacked by an Agent with bloodshot eyes. Upon reconstructing, he quickly gathered and organized a group of muscle, including The Knights of Chaos and The New Order, to seek revenge for the attack. The group went looking for blood and they found it. 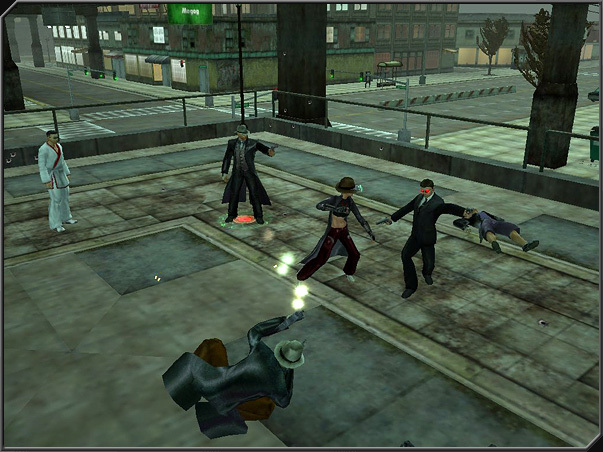 This coalition of retribution surrounded the unsuspecting Agent 3 and gave him a taste of his own medicine. Taking their lives in their hands, Exeros, Neo Cow, Kanser, Pon, Praeses, ViciousXII, Storyteller, DataGhost, Dragonwolf and Xcom923 among others, heroically distinguished themselves as they valiantly battled the Agent. Many fell in this fight, but this hardy group persisted in their vengeful quest until the Agent was eventually overwhelmed and defeated. Humanity is indebted to these dauntless warriors for giving all of us in Mega City something positive to take hold of in these troubled times. The majority of people here in Mega City have embraced the idea that the red-eyed menace is the work of a fourth, unfamiliar party; however, there is still a healthy skepticism within the leadership of the respective organizations. We have received reliable information concerning continued Merovingian infiltration in the Zionite ranks. An anonymous source within the Merovingian covert ops informed us of their presence at a recent meeting between Niobe and several Zionite factions. “We don’t intend to get caught with our pants down because some red-eyed Agents are stirring up trouble. We are not fully convinced that the Agents are from a 4th party,” claims a Merovingian spy. Amidst the chaos, a coherent group emerges. The Antediluvians regroup on a nearby bridge to organize and plan a coordinated attack on the Agent incursion. Chalker boldly engages a group of Agents that have surrounded a fellow Antidiluvian in an attempt to assist a brother-in-arms, and is thereby singled out by an LED Agent. A chase ensues, and Chalker, in a brilliant display of evasive maneuvers and run-and-gun tactics lures the Agent back to a waiting group of Antidiluvians. The Agent, sensing that he has been tricked into a disadvantageous situation, is momentarily driven off. However, if the pattern of LED Agent activity over the last few days is any indication of their operating procedure, I would keep a wary eye out if I were in any way connected with the Antidiluvians. Reports are pouring in concerning LED Agent attacks throughout the Matrix. Zionites, Machinists and Merovingian alike are being savagely attacked by these curious Agents. The body count is increasing, and with it, the speculation as to the origins of these Agents. The Agents, no longer content with simply killing people, are alleged to have started taking over people’s bodies and using them as instruments in their violent quest. However, the goal of their quest remains a mystery. Thunderbird, Fizzer, Fenyman, Mepnon, Shnapdaw and many others claimed to have had the control of their body and voice hijacked by Agents. “It was like a nightmare, I totally lost control of my body. It was terrible hearing my voice saying those things and not being able to do anything about it. God, it was awful,” explains a Zionite who wishes to remain anonymous for fear of reprisal from the Agents. Theories as to the origins of these Agents are steadily increasing in number and absurdity. A wishful thinking Merovingian started a rumor that the Agents were created by Persephone in order to “get out from under the Merv,” and presumably into his arms. Morpheus has also been cited as the architect of this insidious plot, in a reckless attempt to force the return of Neo’s body. Regardless of the ultimate author of these Agents, they seem to have been created for the purpose of collecting the strange fragments and PDA’s that have surfaced over the last week. The nature of the fragments and PDAs remains a mystery, though some connection to Neo seems fairly certain. Agnt1100011 contends that the strange fragments are “fragments of Neo’s last thoughts in his final battle with Smith, the PDAs are fragments of Smith’s thoughts” and he believes that the PDAs are turning bluepills into the LED Agents that are a watered-down version of Smith. It has also been posited that the fragments are pieces of Neo and the PDAs are pieces of Smith and that if they are all collected, one could plausibly reconstitute Neo and Smith. Although the reason for collecting fragments and the PDAs remains obscure, the early numbers indicate an extremely close race across the servers. The Merovingian faction has a slight advantage at the moment, but their lead is by no means secure. Our reporters are currently gathering information on this server. LED Agents conducted organized assassination missions on the lives of Xecog, and Surak after they proved overly competent at gathering information. InfinityGS, SpliceX, GreenSteel, Phayder, and Trusive were individually targeted and attacked by LED Agents today. We have received confirmed reports that Gabri3l and Blarg were both targeted by Agents while collecting fragments yesterday. Due to the efficacy with which they have been collecting fragments and PDAs, LED Agents specifically targeted Twister1352, Waco, SSPsGoku, Dell8311, Coolicet. Reliable sources indicate a serious rise in LED Agent activity in the coming days as they muster their forces for what appears to be a concerted and full scale assault. Having shown no leniency to any particular organization or faction, everyone, regardless of affiliation, is advised to prepare for a vicious onslaught predicted to ensue this Thursday. Our reporters have uncovered transmissions from leaders of each of the three major organizations concerning the recent LED Agent incursion into the Matrix. Although all organizations deny responsibility for the Agents, the reliability of the information put forward by the official organizational bodies is always…suspect. All transmissions are provided for your scrutiny in their raw form below. Enjoy! I am contacting you about a dangerous falsehood. Zionites and Exiles are accusing us of breaking the Truce. They falsely allege that Agents are tampering with Hardlines, and attacking humans to repossess “contraband fragments”. This is an impossibility. The Truce is to be upheld. Only those who threaten the Matrix are to be deleted. We have run an exhaustive audit on all of our records, and there are zero instances of Agents exhibiting these behaviors. Please discover where these misstatements are coming from, and if it is factual that “contraband fragments” are being seized by some party. Prepare to report back what you discover. This matter is of vital importance. This is a priority announcement for all warriors of Zion. Please be advised that the Matrix is currently experiencing a heightened level of Agent activity. As of now, all operatives are ordered to full alert. Despite these incidents, Commander Lock wishes to remind all field operatives that the truce is still in effect. Repeat, the truce is still in effect. Please contact mission control immediately if you have any information regarding these strange Agent activities or contraband fragments. If you haven’t heard about the Agent’s bizarre behavior by now, then you’ve obviously been spending too much time in the cave. Zionites are busy chasing their tails, while the Machines are running around breaking perfectly useful things, like hardlines. We have even received reports of Agents marching around, boorishly demanding so-called “contraband fragments”. Honestly now, what would the Machines know about contraband? Well, I say this: If the Machines want to play, then let’s play, shall we? Here is what is required of you: Engage the Machines and discover exactly what they are on about and identify these “contraband fragments”. These fragments appear to be quite important to the Machines, so far be it from us to avoid a clear opportunity to do what we do best: defy them, outright. System resources indicate the presence of illegal fragments. Humans cannot be permitted to possess this contraband. You will comply with the following directives. Immediately travel to the nearest hardline. Humans are no longer welcome in the Matrix. We will be disabling hardlines. We will neutralize your auto-jackout. Opposing these directives will result in permanent death. You have exactly twelve hours to comply with these directives. Platoon leaders will be deployed to ensure your compliance. There is nowhere you can hide your contraband from the system. Since the transmission of this message rumors of strange Agent behavior and mysterious fragments have spread through the city like wildfire. All major organizations are denying responsibility for this transmission and the finger-pointing has begun. Machinists are taking the brunt of people’s suspicion due to the involvement of the strange red-eyed Agents, but earlier today a Machinist spokesperson vehemently denied any connection between these events and his organization. However, Merovingian and Zionites seem unwilling to take the Machines at their word. Discord, of the Continuity faction, claims to have “received a message from Flood who points the finger at the Machines.” This damning statement has mobilized several factions against the Machines, but many other factions are unwilling to act on fragmented information and hearsay. Khanstruct hypothesized that the message came from a fourth organization that is attempting to muscle its way onto the Mega City scene. He believes that the LED agents are “being controlled by an Exile named Silver. Silver, like the Merovingian, is seeking power and control in the Matrix.” Khanstruct believes that Silver is responsible for the recent “tampering with hardlines, forcing bluepills to use PDAs instead of local phone services” in a scheme to boost his company’s PDA sales. It is unlikely that all of the violence and strange behavior in the Matrix is the result of a PDA marketing conspiracy; however, a fourth party power grab is at least in the realm of plausibility. Silver is not the only Exile fingered in the whirlwind of rumors surrounding these strange events. Theli speculates that the fake agents are “revitalized dead bluepills with no minds and only shells” being controlled by a collaborative force consisting of a commonly ignored Machine program, a Zionite Zealot, and some third party affiliated character. However, his guesses are vague and at this time unsubstantiated by anything other than wild fancy. UFO and Bigfoot took a backseat to wild theories attempting to explain the origin of this latest message. Paranoid claims have been made that these LED agents are soldiers of a new army led by an enigmatic character known only as The General. The theories vacillate between rationality and absurdity, but one thing is certain: something big is happening in the Matrix. The strange Agent behavior is pervading the entire Matrix across all servers. There have been reports of Agents singling out specific redpills and attacking them with brutal and severe efficiency. The Furious Angels and Fight Club were reportedly protecting a man singled out by Agent01 but were overwhelmed and in the end were unable to stop the agent from completing his deadly mission. Sources within Fight Club reported that anyone found helping this marked man were then hunted themselves by Agents. It is clear that whoever is controlling these Agents is powerful, brutal and clever, but the intent and ultimate objective of this mysterious force is still uncertain. TM & © Warner Bros. Entertainment Inc. (s) 2005. THE MATRIX ONLINE, characters, names and all related indicia are trademarks of and © Warner Bros. Entertainment Inc. 2005. 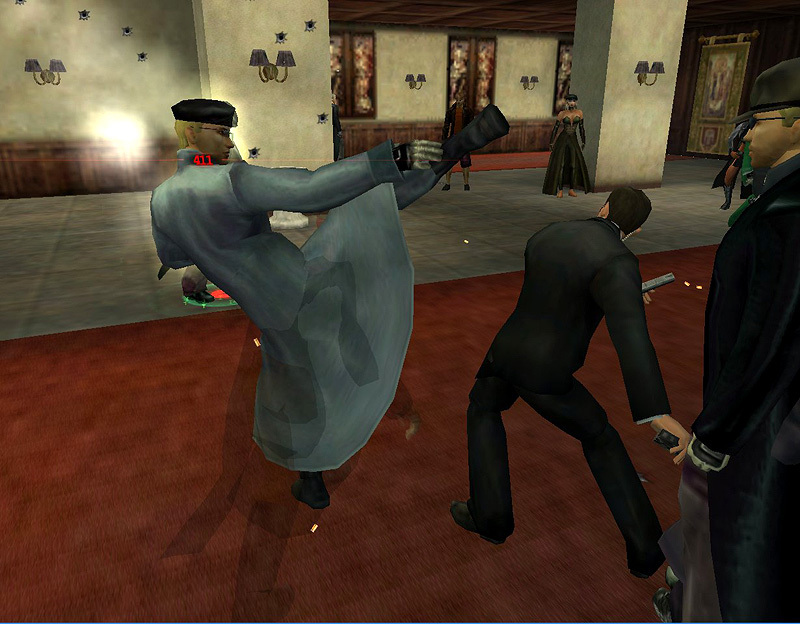 THE MATRIX ONLINE is developed by Monolith Productions Inc. MONOLITH and the Monolith logo are trademarks of Monolith Productions Inc. Sega is registered in the U.S. Patent & Trademark Office. SEGA and the Sega logo are either registered trademarks or trademarks of Sega Corporation. Software platform logo TM & © 2005 IEMA. The ratings icon is a registered trademark of the Entertainment Software Association.